Looking at the upcoming Torah portion (Bible reading for next week) it is the story of Korah and his gang. Basically they feel that Moses/Moshe is a power hungry leader and that they, his relatives, are being relegated to the secondary status of only being Levites and not Cohanim (priests) or leaders like Moshe. Their answer just hit me! The Hebrew is "Lo Naaleh", We shall not come up. Now, I hate to burst anyone's bubble but if you are not reading the Torah/Bible in Hebrew, well, you are not really reading the Bible, because you are simply missing out on so much. "Lo Naaleh" means; Moshe, we ain't comin'! or "We are not going up". So the basic meaning here is: you called for us, but we refuse to budge. Lo naaleh – we are not coming to you. Moshe/Moses is calling them. What does this mean? The Biblical commentator Rashi (Rabbi Shlomo Yitzhaki, France , 1040 -1104) says, "From here we learn that one does not 'hold on to an argument, or a dispute', as Moshe as pursuing after them, to resolve the matter with words of shalom, peace." So Moshe is totally in the right, and God is backing him up, (not too bad) and Korah and his gang are totally out of line, and yet Moshe appeals to them with words of peace and reconciliation. The response "Lo naaleh" appeared to me as very firm and very harsh. "We shall not go up!" They were showing their intransigence. Now lets look at the Hebrew word "Naaleh". It has a direct connection to the word "Aliyah". Aliyah means "Ascent". When one is called to read from the Torah, it is called an Aliyah, as in one is going up to read the Torah. 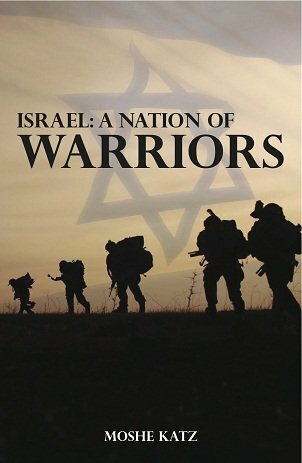 When a Jew moves to the Land of Israel it is said he is "Making Aliyah", i.e. he is ascending to the Land of Israel. When one prays or studies on behalf of a deceased loved one, people say, "May the soul have an aliyah", meaning, may the soul of the departed rise up as a result of your efforts. So when Dathan and Aviram are saying we shall not go up, Lo Naaleh, it occurred to me that the word has a double meaning. In a sense they are saying, we are not going to ascend, our souls will not rise up any further, from here we are going down, down, down. Think about it; Moses/Moshe, the historic leader of the Children of Israel, a man who died over 3,300 years ago and we all know his name, we are still discussing him! This is the great Moses, who led the people of Israel to the promised land, who ascended Mount Sinai, met God and received the ten commandments. And this man asks to see you, to have a "Pow wow", to "Talk things out", and you say NO! I aint' going. Indeed, when you turn down such an opportunity, you said it, Lo Naaleh, we shall not go up. From now on it is all down hill for you. So, I took a look to see what the great Rabbi Shlomo Yitzhaki had to say on the matter, and …lo and behold; "Lo Naaleh – Their own mouths failed them that they will have nothing but going down." Indeed this story did not end well at all for Korah and his followers as they were all destroyed by God. Even if you are as great as Moses, still, you reach out with words of peace; you invite the erring party to come and sit down and discuss the matter with you. You try to reason with them. And from the opposing side we learn that when such an opportunity comes along but you insist on holding your ground, you will not show enough humility to accept this invitation for a dialogue, you remain intransigent, well, for you there is only one direction, down and destruction. The earth swallowed Korah and his ringleaders, the rest of his followers were consumed by fire. To this day the name Moshe is associated with greatness and leadership, and the name is still in popular use. The name Korah? I have never met anyone with that name. What does the Bible really say about fighting? How did Biblical fighting developed and how is that expressed today? Not your average Krav Maga seminar. Experience Krav Maga in a new way.